There are tons of products and closet organization systems out there for the ambitious Do-It-Yourself-er. You can find wire shelving at the big home stores and hi-end storage stores. Some even have laminate products as well. There are also many online options. The biggest challenge with the DIY products is the planning and execution of the project. This will probably be the first closet you have designed. 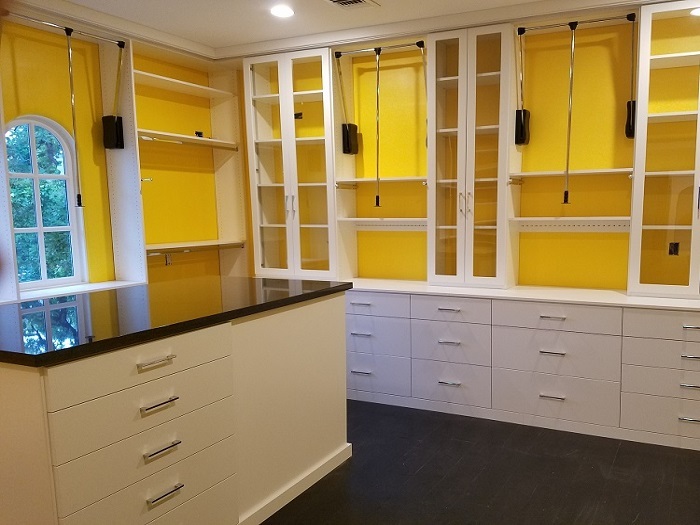 Closet design is not brain surgery, but there are certain tricks and techniques that are developed over the years, and after designing thousands and thousands of closets since 1998, SpaceMan closet designers know them all. Also, we come to your home and do the work for you. We measure the space, and take a detailed inventory of your clothing and accessories. As we like to say, “Let the plumbers do the plumbing!” And the in-home consultation is FREE! In today’s increasingly busy world, time is so valuable and in such short supply! Invite SpaceMan into your home and your closet will be designed with little-to-no effort on your part. Give us the “OK” and the fabrication and installation will occur effortlessly. Some people enjoy spending their weekend leisure time hanging closet systems. Some people are good at it, can easily find studs and understand concepts like “level and square.” Are you one of them? Typically, installing your DIY system will take all weekend and require 2 or 3 trips back to the store for random parts that were forgotten. At SpaceMan, we have professional installers that will install your system quickly and easily. We will even touch up your paint. Most DIY options have limited color and accessory choices. At Spaceman, we have 9 colors and various styles from which to choose. And dozens of accessories ranging from jewelry drawers to in-drawer ironing boards to telescoping valet rods. DIY will probably warranty product failure, but not anything related to installation. 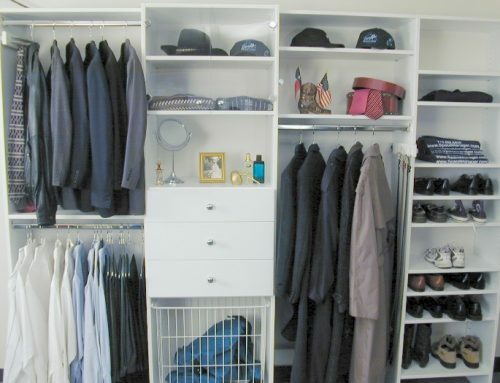 With a professional closet system, installation is quick and accurate. The entire installation (labor and materials) is warrantied for LIFE!!! Recently we did some comparison shopping, and we were shocked to see that wire closet systems at the local hi-end storage store are MORE expensive, apples-to-apples, than our melamine, full-extension drawers, fully warrantied closet systems at SpaceMan. So when you consider doing it yourself, and are hoping to save some money, please give SpaceMan a shot at doing the job for you. With our experienced designers, product quality, lifetime warranty, and LOWER COST, you might decide to leave the closet creation to the experts.